A poll of almost 1,500 mortgage customers has highlighted familiar concerns about conveyancing – that it is slow, stressful and poor value for money. Perhaps unsurprisingly, given the nature of conveyancing, conveyancers came bottom when judged by how much they ‘made the deal happen’ compared to others in the process – 70% said their mortgage broker had made it happen compared to 27% their conveyancer. The survey, for property firm Legal Marketing Services (LMS), sought consumer views of conveyancers, mortgage lenders, brokers and valuers. All the consumers had taken out a mortgage or remortgage in the last six months. Almost a third of consumers (32%) described their conveyancer as “very slow”, and only 14% “very fast”. This compared with the 55% who thought their broker was “very fast”, 34% their valuer and 29% their lender. The majority of consumers felt the conveyancing process was the most stressful part of the transaction. Only 29% described dealing with their conveyancer as “entirely stress free”, compared to 54% who said this was true of dealing with their mortgage lender. There was more bad news on value for money, with 83% saying their broker was good value for money, 78% their mortgage lender and 63% their valuer – but less than half (44%) their conveyancer. 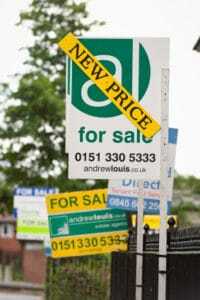 Researchers said consumers paid an average of £429 in conveyancing fees. The figure rose to £870 for those whose fees were linked to the value of their property and fell to £377 for those paying fixed fees. Although only 17% of consumers said the technology used in conveyancing was “out of date”, the figure for technology used by the lenders was much lower at 7%. 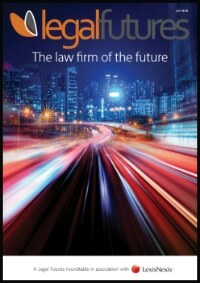 Almost two-thirds of consumers (63%) thought technology could be used to speed up the conveyancing process. Rather than asking for a Veyo-style conveyancing portal, the most popular digital innovation sought by consumers was a web-based countdown to the completion date (58%), followed by a telephone service where they could get straight through (57%), email updates (50%), apps (37%), texts (36%) and instant messaging platforms for online chat and help (32%). Researchers said in the report that digital services such as online banking had raised consumers’ expectations, with just 2% saying the conveyancing process was more advanced than their personal banking. Younger consumers were more optimistic about the ability of technology to improve conveyancing, with 78% of those aged under 40 believing there was “plenty of scope”. Andy Knee, chief executive of LMS, said: “Borrowers don’t think conveyancers are good value for money or they move fast enough. 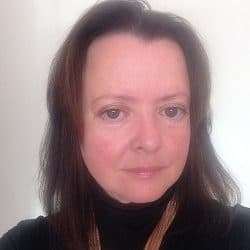 “However, it’s important to remember that conveyancers are often the end of a chain and can be left to highlight issues that may not have previously been expected. “Consumers think technology could improve their experience of the conveyancing process. They think it would make it faster, better value for money, less stressful, and that it would decrease the chances of their deal falling through. At an average of £429.00 per transaction nearly 50% of consumers think that is bad value for money. Something is seriously wrong here. And, consumers want a web based countdown to the completion date. Doesn’t this show how little they understand the conveyancing process? Pre-exchange you can’t have a meaningful countdown, post-exchange you don’t need one. We really need to educate the public as to how important, time consuming and complicated conveyancing is. Service levels do need to improve. The problem is twofold, consumers don’t understand the process and conveyancers aren’t charging enough to provide the level of service consumers want. As consumers generally, we simply do not value something that is free or too cheap. Conveyancers are the only part of the transaction working to protect the client, mitigating the client’s risk in dealing with the most important transaction clients will undertake. Conveyancing is often not straight forward. Educate the client and they might begin to understand and appreciate the value. The challenge for conveyancers is to recognise the value of collaboration and proactivity. Three seems to be an acceptance that “this is the way it is”, however why is it like this. Why does it take so long? Why is it the client who has to chase? Why aren’t there clear expectations? Why aren’t telephone calls returned?Perhaps it is time for a project based approach where conveyancers agree a timescale and start to work collaboratively rather than the “it’s not me, it’s them approach”.